The 1993 - 1994 Lexus LS400 experiences a common failures in the Backlighting, Illumination and Gauges . The problem is in a few important capacitors on 2 circuit boards. 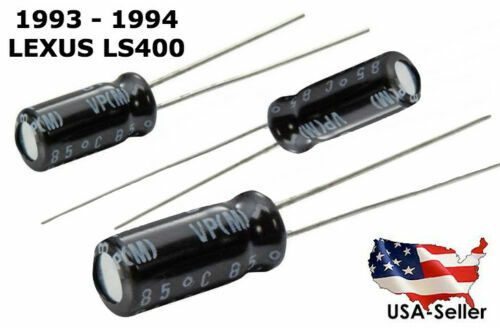 This is your opportunity to purchase Brand New set of (3) Electrolytic Capacitors specifically designed for the 1993 and 1994 Lexus LS400. We can also install for you and are happy to help! All International Buyers Welcome.